Anchor's Rest Guest House Umhlanga Rocks: December in Durban is Market Madness - and we LOVE it! 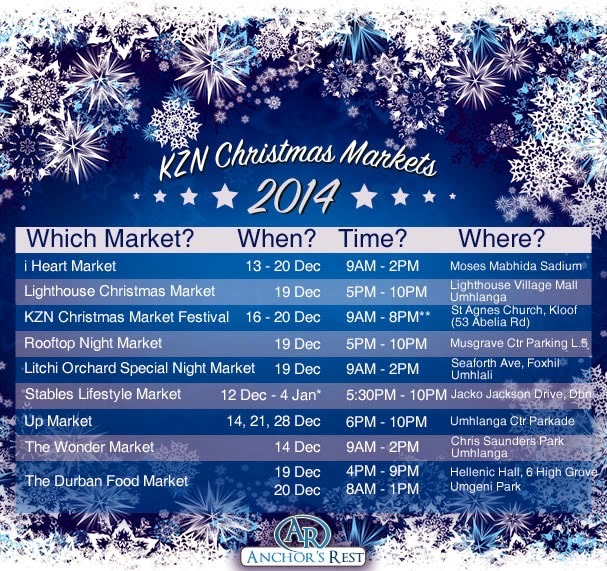 December in Durban is Market Madness - and we LOVE it! Head on out to any of the lovely local markets in and around Durban this Festive Season, and shop till you drop. There's something for everyone so don't miss out. Need somewhere calm and quiet to unwind after all the hustle and bustle is done? Book your stay with Anchor's Rest today, and relax in luxury.